• Sunset Spins Casino Review - A Safe, Vanilla Choice? Sunset Spins Casino was launched in 2017, part of the online casino empire of the Nektan Limited Casinos Group. Nektan operate a number of online casinos – like Miami Dice, Rich Ride and 333 Casino – and reviews of many of them feature on these pages. The Casino Gorilla pretty much knows what to expect from one of these casinos, and so will be looking carefully to see whether Sunset Spins Casino offers anything different or out of the ordinary. As usual, the first thing he wants to check out is the welcome bonus offer as this is very often the first thing that players want to know about a new online casino. 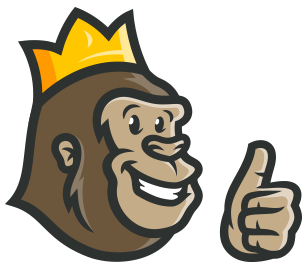 The Casino Gorilla reviewed 333 Casino not too long ago and wondered why anybody would bother claiming the £100 bonus on offer there when they could get the £500 from the virtually identical Rich Ride Casino. When he saw that Sunset Spins are offering a mere £10 welcome bonus, he has the same question multiplied by ten! Add to this the fact that the bonus is capped at 4 times the bonus amount and that wagering requirements are a massive 40 times deposit plus bonus, and you are left with one of the worst online casino welcome bonuses you will see anywhere. This is a very, very poor welcome indeed. Make your deposit of £10 or more to Sunset Spins and you will earn ten free spins for NetEnt’s Starburst slot game. The spins are worth 10p each, and anything you win from them must be wagered 40 times before it can be withdrawn. Keep an eye on the Promotions page to look out for further offers, as casinos run by the Nektan group tend to have lots of promos for existing players. Often these come in the form of additional free spins if you deposit at a certain time and day. No bonus code is required for you to claim this not-very-impressive welcome bonus from Sunset Spins Casino. Just deposit at least a tenner on your first deposit with the casino, and the additional £10 will be credited to your bonus account. There are around 20 live dealer tables at Sunset Spins Casino, proving that this site is not just about spinning those reels. 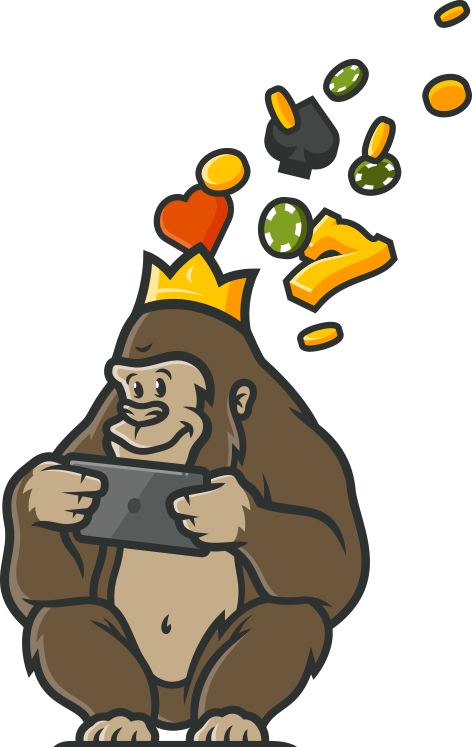 The live games come from two of the Casino Gorilla’s favourite providers: NetEnt and Evolution Gaming. Naturally, you will find plenty of roulette and blackjack tables, and besides these the live casino also features 3 Card Poker, Caribbeaban Stud Poker, Dragon Tiger, Dream Catcher, Baccarat, Casino Hold ‘Em and Football Studio. A very nice range of live games which will please newbies and veteran players alike. As with all Nektan-run casinos, it is very easy to play on mobile devices without the need to download any apps. Simply enter the site name and log in as you would when playing on a desktop computer. You can carry out any transactions, contact support, check your balance and of course play the best real money games on your phone or tablet. Android and iOS devices are both supported and you won’t lose out on the gaming experience when you play on smaller screen devices. Sunset Spins is regulated by two respected authorities: the Gibraltar Gambling Commission and the UK Gambling Commission. It is also signed up with IBAS (Independent Betting Adjudication Service) who are able to mediate between customer and operator should any disputes arise. The site is protected by the latest encrypted software to ensure that personal and financial data remains private. Meanwhile all the games on the site are regularly checked to make sure that they are paying out fairly and correctly. There is an FAQ section at Sunset Spins which can be accessed via a link at the bottom of the page. This answers a range of questions, particularly those about the different payment methods available on the site. If you need further assistance then you can contact the support team via telephone, live chat or email. Emails will be answered within 24 hours. Phone and live chat support is available between the hours of 8am and midnight, UK time. In the terms and conditions it states that the site cannot be used by ‘persons in jurisdictions in which such activities are illegal, including but not restricted to the United States of America.’ Residents of the United Kingdom can certainly join, but if you are living in a different country and are not sure about your eligibility, make sure to contact the customer support team before you deposit any cash. It’s always better to be safe than sorry! Sunset Spins is a mid-range casino with a better-than-average selection of games from high-quality developers. The site design is pretty vanilla, and it could easily be swapped for one of the many similar casinos operated by the Nektan Group. In fact, it is probably a better idea to choose one of those other casinos, since they will surely offer a better welcome bonus than the miserable £10 on offer from this casino. While the casino is of a high standard in most regards, that very poor welcome bonus leaves a sour taste in the mouth.